The smaller sibling for the M4200 luxury performer is due this summer. With almost 20 Mystic Powerboats M4200 luxury center consoles delivered to customers from Florida to California, and close to 30 sold in a little more than two years, Mystic principal John Cosker and his partner in the project, Scott Sjogren of Mystic Powerboat Sales, are delighted with the success of the 42-footer. 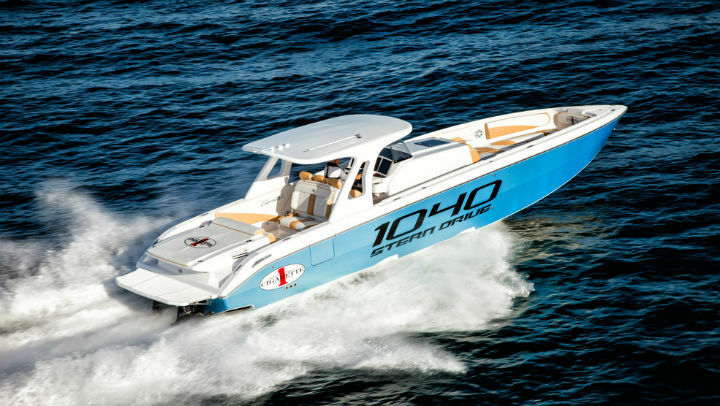 As most go-fast powerboat enthusiasts know, the DeLand, Fla., custom builder made its name on a big-buck 50-foot catamaran, and while the “wow factor” of such a boat is undeniable, so too is its limited appeal. As Cosker himself said, “There’s just not that many people interested in a 200-plus-MPH catamaran with a $1 million-plus price tag.” Mystic also builds a high-dollar, high-speed 44-foot catamaran with an equally limited audience. 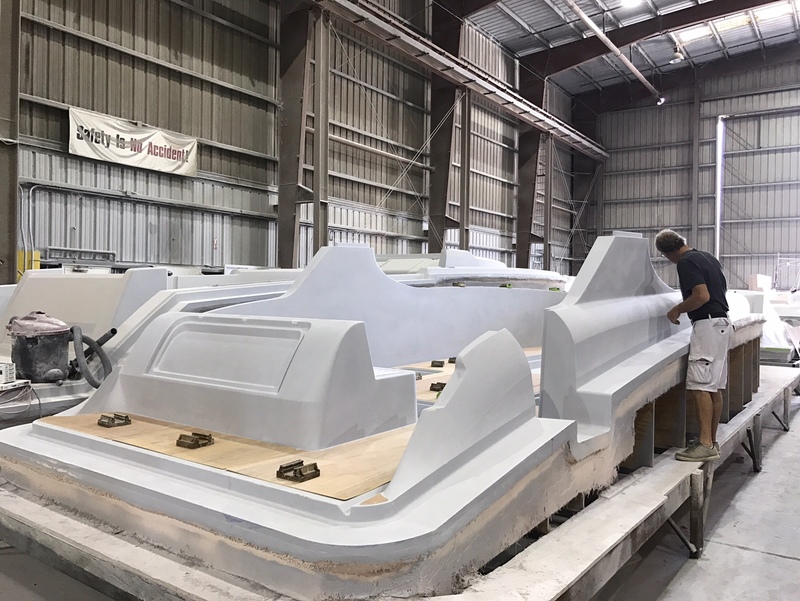 Hull No.1 for the Mystic M3800 luxury performance center console was pulled from the mold last month. So the M4200 didn’t just expand Mystic’s product portfolio. It gave the company a real future beyond a couple of expensive and intricate builds a year. 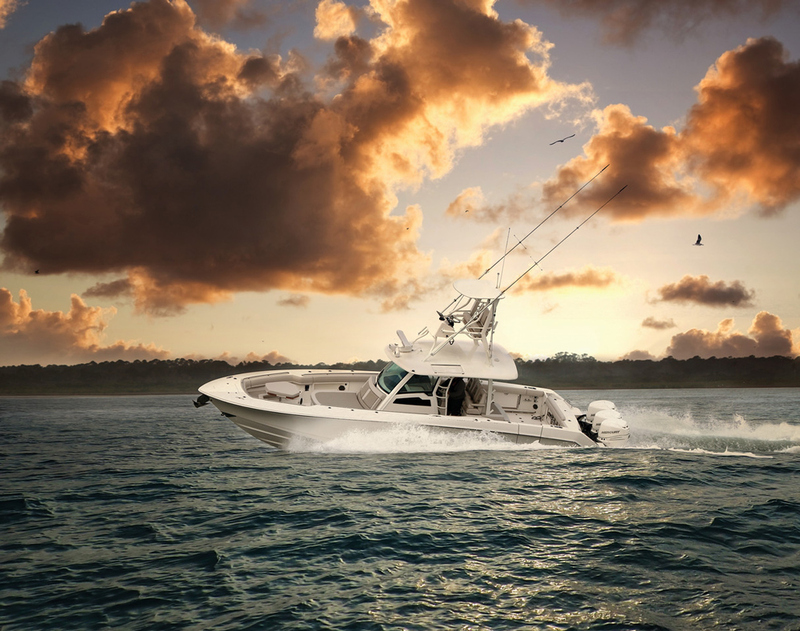 Since Cosker and Sjogren introduced the 42-foot center console at the 2015 Miami International Boat, Sjogren and his sales colleague Greg Weber have tirelessly displayed the M4200 at various shows in Florida. (They even exhibited it in the Midwest—and attracted buyers there—at the 2016 Chicago Boat Show.) In the process, they discovered demand for a smaller version of the model. The first deck for the M3800 will be finished this month. 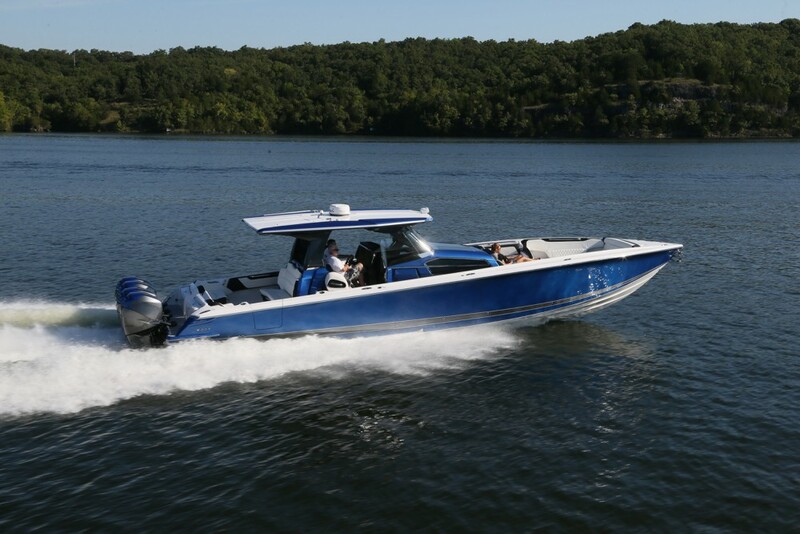 Cosker designed the new 38-footer, dubbed the M3800, with a 10’5” beam (just three inches narrower than the beam of the M4200) and only three inches less freeboard, to “be able to run 70 MPH” with twin Mercury Racing Verado 400R outboard engines, according to Sjogren. The first M3800 has been completed. The carbon fiber reinforced hull was laid up using the resin vacuum infusion process, as are all Mystic center-consoles and catamarans. The deck and gunwale-to-gunwale top for the boat should be completed this month. 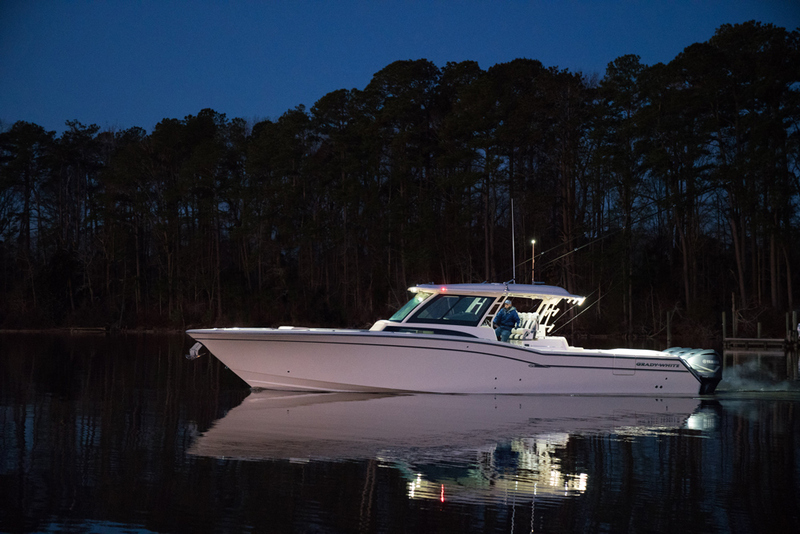 Shortly thereafter, Cosker and company will begin sea trials in the 38-foot center console, three of which reportedly have already been ordered. The first model should be on the water by early summer and deliveries are scheduled for late summer or early fall. 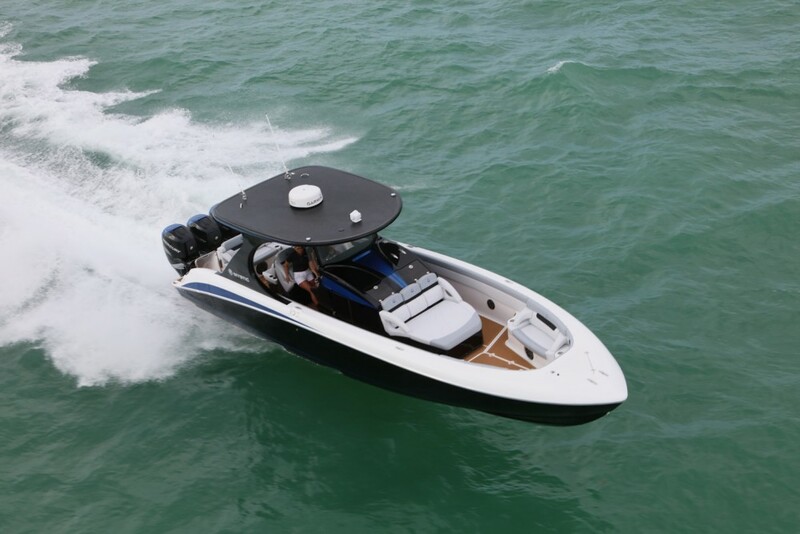 The M3800 takes hull design and styling cues from the M4200. Cosker said he expects the 38-footer to produce the same ride quality and handling manners as the 42-footer version on which it’s based.